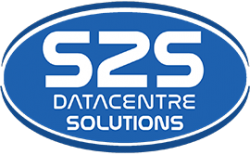 Incorporating 5 divisions and 30 years of experience, S2S Group operates from our high-security facility in South Yorkshire, providing a range of secure and innovative corporate IT and Mobile Asset Recovery and Data Solutions for all sectors; assisting clients in managing their end-of-life electronics whilst offering complete reassurance of their information security. We provide a complete package of in-house’ specialised asset security services, assiting clients in all sectors with their IT Disposal. Choose from our group of solutions to assist with the management and disposal of corporate IT, WEEE, Mobile and Data Centre equipment; From bespoke audits, asset deployment and remarketing through to confidential data destruction, recycling and secure disposal of hardware, with each process offering full traceability through our Online Trakk-IT Portal. Don’t leave IT assets at risk of becoming a data security liability. Neglecting data bearing electronics can pose as a major threat to organisations, leaving vulnerabilities for cyber-attacks which can result in costly fines from the Information Commissioner’s Office (ICO). Instead, take control of your data and securely dispose of IT equipment to ensure complete eradication of confidential to top-secret information through our highly accredited processes. We’ll take the responsibility and complexity of ITAD off your hands, guaranteeing an environmentally-friendly and hassle-free service whilst protecting your data bearing assets at all costs. S2S Group is one of the most widely accredited and longest running IT Asset Disposal firms in the UK. Fire Services recycle mobile phones to raise much needed funds for the Fire Fighters Charity. S2S contacted us to advise that they could assist with this fundraising. From start to finish we found them extremely professional and easy to deal with, and the whole process from confirming what we would like to recycle to raising a cheque for our charity took around 3 days which is a fantastic turnaround. 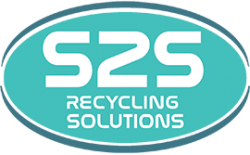 We will be using S2S again for future recycling needs. “We are very happy with the service received by S2S. Organising collections was straightforward and S2S were very helpful. We received quotes quickly with full details. I felt the service was professional without being pushy and they did not bombard us with constant phone calls (as has been the case with similar companies) I would definitely recommend S2S to other organisations”. I have been dealing with S2S for a number of years now. They always deliver a professional but friendly service and are always happy to assist in any way they can. The WEEE Secure Mobile recycling service is covered from end to end efficiently, starting with supplying us with the collection boxes and then the arrangement to collect the full boxes making it a painless process for us. 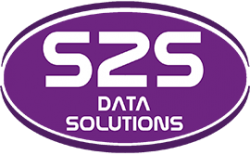 S2S have always assisted us with new demands from our business users and I would not hesitate to recommend them.